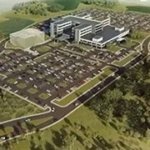 One of these new draws is Patton Park located on 5725 White Eagle Boulevard adjacent south of the new-home neighborhood of Harmony. This 88.6-acre park, which opened just this May, is the largest of the new park network in Lakewood Ranch, and four lakes with boardwalks constitute its main features. Much of the park’s acreage is occupied by its scenic Kent Lake which has a designated launch for canoes and kayaks. Patton Park has also been developed with a Theatre in the Field, an events venue wherein the play “Huck Finn” was recently presented by The Players Centre for Performing Arts. The new Bob Gardner Park located on the northern stretch of White Eagle Boulevard has likewise opened, and its inauguration auspiciously coincided with this year’s April 21 celebration of Earth Day. This park bordering the gated neighborhood of Arbor Grande to the west and Serenity Creek to the north flaunts several sports facilities. Besides its all-purpose sports field, this park features a nine-hole disc golf links, a playground, and a two-directional gravity zip rail. It also has three dog parks, one of which provides a swimming area for puppies. 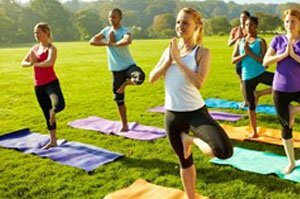 With its designated space for community activities, Patton Park is geared for events like weekend yoga and fun runs. From White Eagle Boulevard, Patton Park visitors can just walk to the new Roger Hill Park which sits south of Malachite Drive near the gated Lakewood Ranch community of Central Park. Roger Hill is accessible through a tunnel, thus providing a safe route for pedestrians across White Eagle. Still on its design stage and set to open this fall, Roger Hill is groomed as a “passive” park ideal as a stopover or resting place for runners and cyclists. 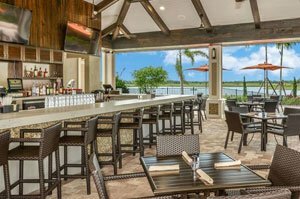 Meanwhile, residents of Esplanade Golf & Country Club in Lakewood Ranch soon will have the bragging rights for a Culinary Center in their community. This new amenity in the neighborhood broke ground in April and is expected to be inaugurated in summer 2019. The center is designed for five varying culinary experiences within its 16,000-square-foot space which expands to 24,000 square feet with its open patio included. The culinary choices it would offer include those at the Dodici 951 ballroom, Barrel House Bistro & Tap Room, Uva Tasting Room & Esplanade Teaching Kitchen, Backyard Patio Grill, The Café Coffee House & Fresh Market. In January this year, construction has started for the Shoppes at Commerce Park located northeast of Rosedale Golf & Country Club and respectively east and north of Lakewood Ranch Boulevard and Technology Terrace. Its tenants, which are expected to start moving in August, include Skyline Chili, X 30 Fit, and Life Pharmacy that all add up to a well-rounded set of new perks of living in Lakewood Ranch.